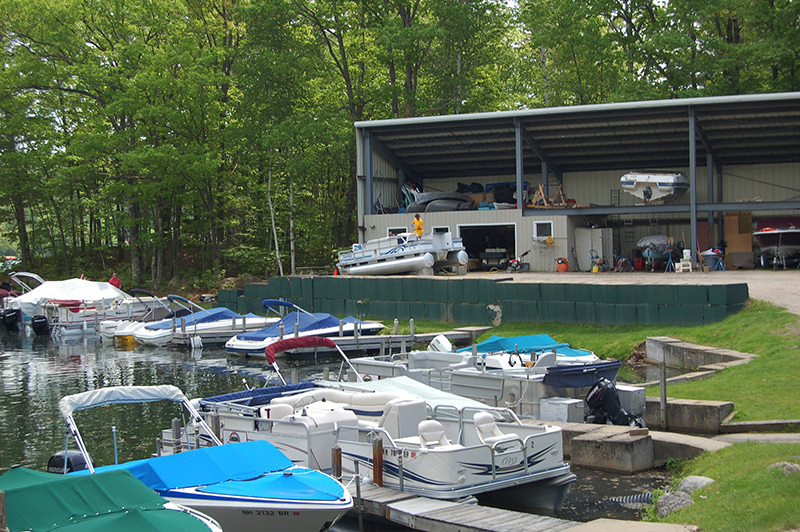 We offer 7 covered boat slips and 45 outside open boat slips on a protected “no wake” cove. We offer daily, weekly and monthly slip rentals based upon availability. We offer valet services where we dry store your boat for the summer and make it available for your use with 24 hour advance notice. 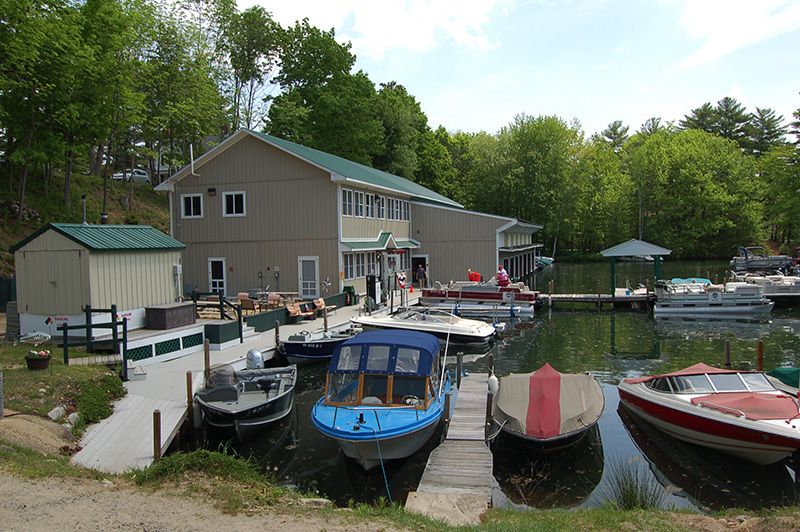 All seasonal slip rentals include keyed 24 hour keyed access to restroom and shower facilities in the marina building. Please contact the marina by Email or phone for additional information and reservations. Call 603-968-9001 or Click Here to contact us by email.